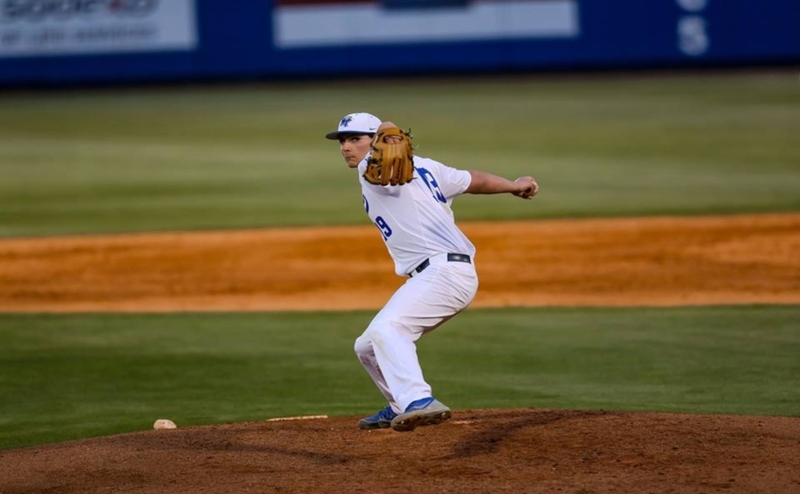 Following their 14-2 loss to Tennessee Tech on Wednesday, the Middle Tennessee Blue Raiders (19-17, 6-8) looked to bounce back and improve their standing in the conference. 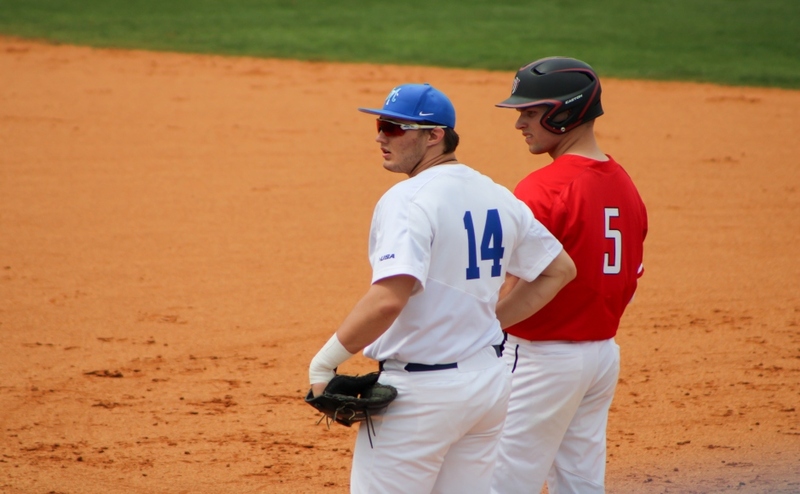 Due to inclement weather forecasted on Saturday, the Blue Raiders were forced to play a doubleheader against the Rice Owls on Friday. It was a marathon of a day for the Raiders, as they split the two games with a 2-7 loss in the first one and a 9-8 victory in the second after a grueling 10-inning affair. Starting on the mound was senior left-hander Jake Wyrick, and he continued his latest run of solid starts. Wyrick went for six innings, allowing only two runs (one earned) on three hits and five strikeouts before being relieved by junior right-hander Tyler Holcombe. Holcombe struggled in his brief stint on the mound, as he gave up five runs in only 1.1 innings of work. 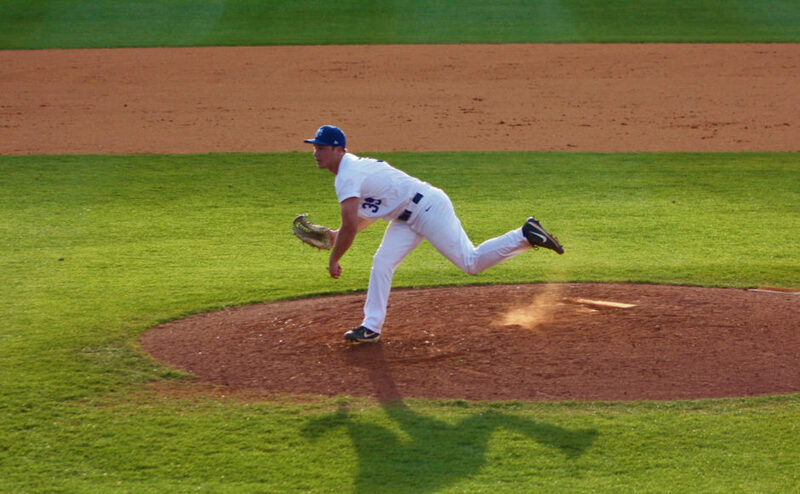 Junior left-hander Conner Bell replaced the struggling Holcombe in the top of the eighth inning and didn’t allow a hit for the rest of the game. It was too little too late, however, and the Raiders geared up for the second face-off. Junior right-hander Carson Lester got the nod to start the second game, and had a shaky time as he gave up four runs on eight hits while walking six. In all, five different pitchers saw action in the second game. The big hero of the pitching staff was senior Austin Dennis, who came in as a relief pitcher in the bottom of the eighth inning and earned his second win of the season as he guided the Raiders to a 10-inning victory. He went for 2.1 innings and allowed no runs on four hits and two strikeouts. The Raiders drew first blood in game one on a two-run single by sophomore Aaron Antonini in the bottom of the first inning. This was the only time MTSU scored in the first contest, as they were effectively shut out by the Owls’ defense and pitching. The second game of the night was a different story for the Raiders, as they again took a three-run lead in the first inning. Middle managed to capitalize on their base positioning and scored nearly every time they were in a position to do so. This is further evidenced by the fact that only two players recorded more than one hit in the second game, as freshman Myles Christian and sophomore Darrell Freeman both had two. The Raiders now hold a 12-4 record when they score first over their opponents. The Raiders will receive a well-deserved rest after the long day before returning to action on Sunday to finish up the series against Rice. The game is slated to begin at 1 p.m.